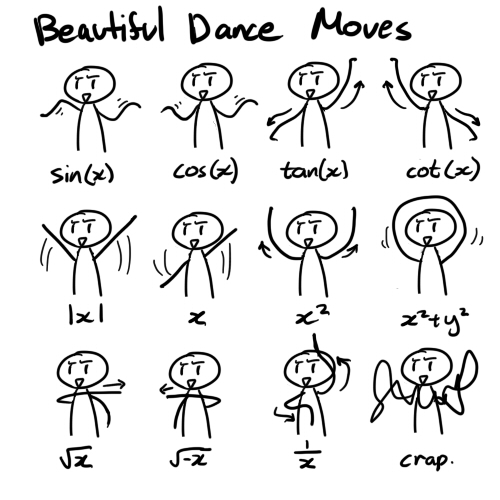 It’s time to dance… MATH dance! What an awesome way to remember what some of the essential functions look like! *Via coeurdewhale at tumblr (I believe this is who created the image, but I’m not sure) and dong6241 at piccsy, a lovely site that showcases user-submitted images and has a great visual image search (blogger’s delight)! Gallon Man to the Rescue!